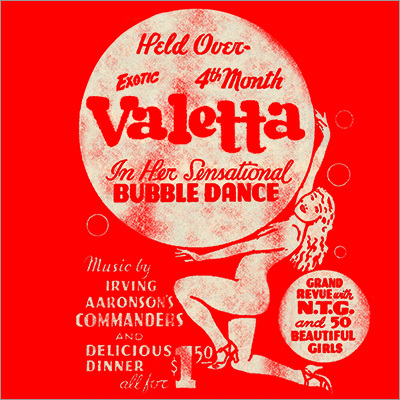 "Valetta - In Her Sensational Bubble Dance." 100% cotton 2-by-1 ribbed tank. Available in small, medium, and large; black/red, red/white, and brown/khaki.